Summertime is a great time to put a new roof on your home. It’s also a season that comes with plenty of beautiful design inspiration. We love using Owens Corning Roofing products and shingles, and so we wanted to share some inspiration from them for this season. Drift away to the sea with Driftwood Shingles. This neutral is dark enough to stay relevant through all seasons, but has light accent hues throughout the shingles which make it the perfect pair to a summer color palette. 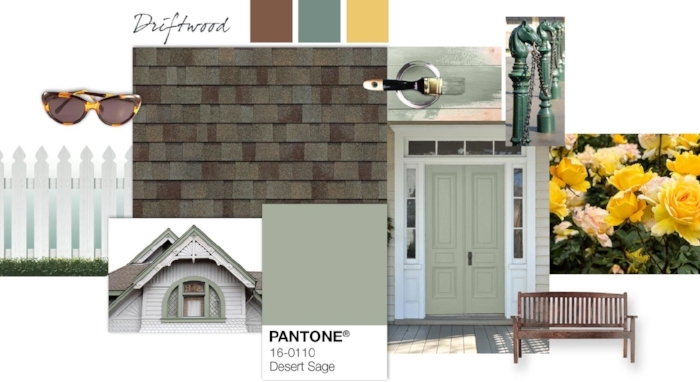 We love this style board which incorporates sage and soft shades. You’ll get reminders of the beach, even when you don’t have time to take off for the week to get there! 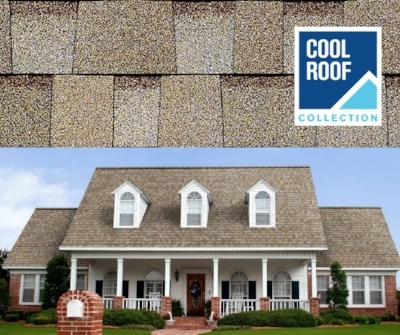 Not only is the shade of Amber Duration Shingles light, airy, and summery, but it also is part of the Cool Roof Collection. This collection of shingles is specially designed to reflect the sun’s rays, helping to make your home more comfortable and energy efficient. These shingles are specially designed with solar-reflecting granules to help decrease the amount of heat transferred into a home, which can be extremely helpful in the summer heat. Pacific Wave shingles can take you right back to your favorite body of water. 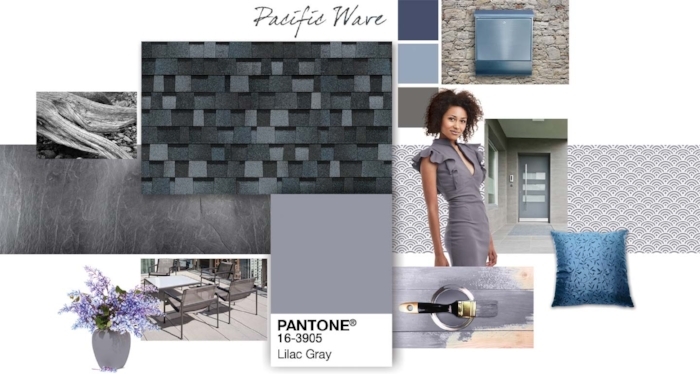 It pairs nicely with blues and purples, so add in some of your favorite lilac and deep purple flowers to your back patio décor and you’re ready to host a relaxing evening at your home. If you want to take it one step further, pair this shingle color with some sand-colored accents to really bring in the beachy vibe. If you would like to learn more about our shingle color options, please give us a call. This is one of the most fun parts of our job, and we can’t wait to show you all the tools we have to help you envision what a new roofing color could do for your home’s exterior.